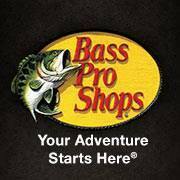 Worth a look in Mesa, is the Bass Pro Shops. We wanted to give them a shout out because they graciously allow overnight parking on their lot as we were passing through the city with our RV. The store offers so much more than shopping. Anyone would love the amount they have in store for those that love the outdoors. Its worth a look to come in to see the giant aquarium, all the taxidermy wildlife,indoor water fall, and of course the indoor shooting range ( bucket list) . Gerry and I played and he beat me twice of the two games we played. Haha we had fun..and for .50 you get 25 shots. If in Mesa or passing through, drop in and see them. You'll be glad you did.